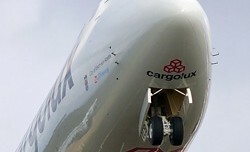 Weeks after Cargolux left Boeing officials red-faced with a last-minute decision nixing delivery of the first 747-8 Freighter, the Luxembourg-based freight hauler flew the plane home on Wednesday with no fanfare whatsoever. 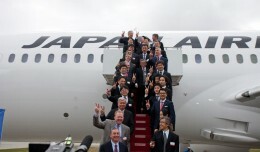 Japan Airlines’ president received the keys Monday to the carrier’s first two Boeing 787 Dreamliners, moving JAL a step closer to launching the first-ever Dreamliner revenue route in the United States. 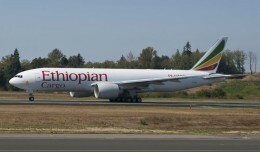 Ethiopian Airlines is on a roll in the new aircraft milestones department. Boeing on Thursday delivered the first 747-8 Freighter to Atlas Air, which will operate the new hauler—and four more—on behalf of British Airways World Cargo through a five year wet lease agreement. 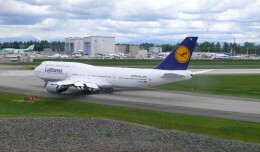 Formally delivered late last week, the first Boeing 747-8 Intercontinental actually flew home to Frankfurt with its Lufthansa owners on Tuesday.